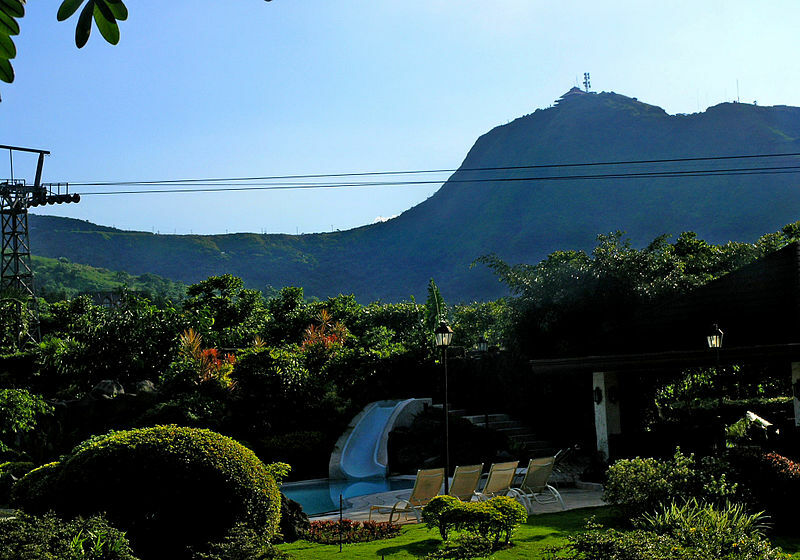 Located close to Metro Manila, the City of Tagaytay offers a temporary reprieve from the heat of the city. 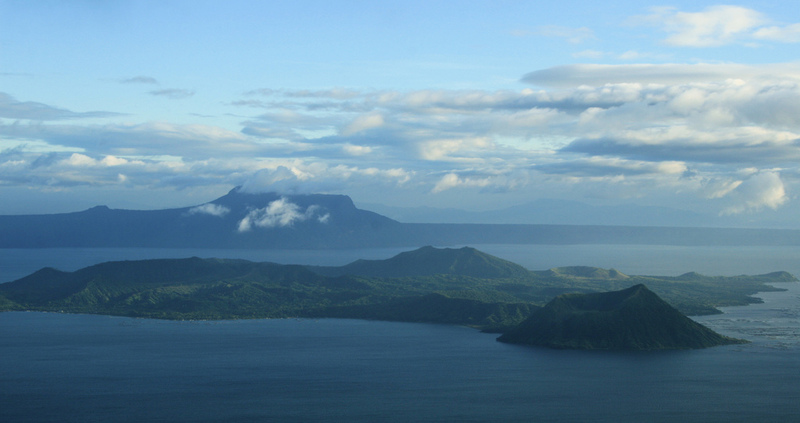 Not only is it famed for its mild climate, but it’s also known for offering one of the best views of Taal Volcano. 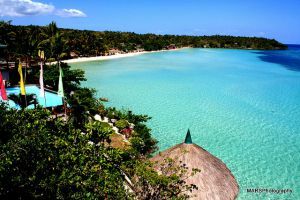 Situated in a high altitude, this city in the province of Cavite overlooks the Taal Lake in Batangas. In fact, the iconic shot of Taal Volcano resting in the middle of the lake has become quite the iconic photograph. Plus, getting a good view of the volcano is possible through several vantage points around the city. People’s Park in the Sky – a mixture of natural and man-made attractions. 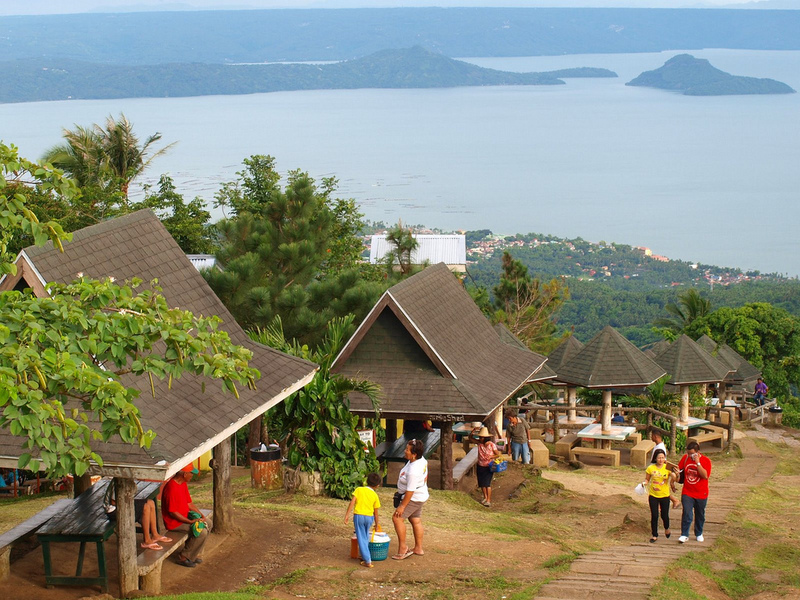 It’s located on the highest point of Tagaytay City. 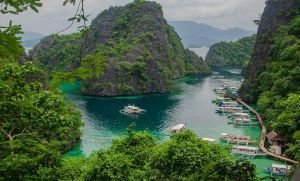 It overlooks several bodies of water, including Taal Lake, Balayan Bay, Laguna de Bay and Manila Bay, as well as some mountains. The park was converted from an incomplete mansion called Palace in the Sky which was built during the time of Ferdinand Marcos’ rule of the country. The park contains the Shrine of Our Lady, Mother of Fair Love as well as a doppler weather radar station which is maintained by the Philippine Atmospheric, Geophysical and Astronomical Services Administration. Japanese Friendship Garden – built to instill the value of freedom, peace and international unity into the hearts and minds of people. The garden is located in Barangay Sungay East in front of the Development Academy of the Philippines. 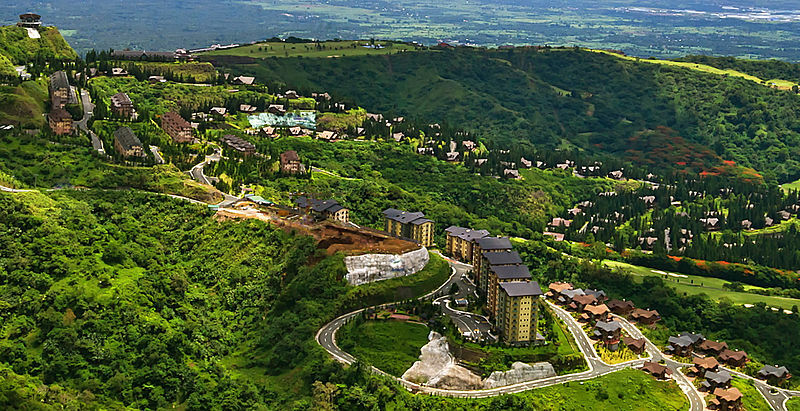 Tagaytay Highlands – an exclusive recreational and residential complex. It’s located in the southeast of Mount Sungay. Tagaytay Picnic Grove – a large park featuring huts and tables for picnics. The place also features horseback riding, an eco-trail boardwalk, a zipline, cable cars and a restaurant. One Destination – a collection of fancy restaurants and bars. It’s the nightlife hub in Tagaytay City which offers a range of cuisines and entertainment to visitors. Have a picnic at Tagaytay Picnic Grove – as mentioned earlier in this post, it’s not just a place for picnics. There are lots of activities that you can try too. If you don’t want to go that far for a ziplining adventure, there’s one for you here. If you always fancied horseback riding, well, that’s available here too. But of course, nothing beats a good old fashioned picnic with friends and family too. Have a blast at Sky Ranch Theme Park – a five-hectare theme park located beside the Taal Vista Hotel and right across Casino Filipino. Here, you’ll find simple amusements that will bring out the child in you – carousel, super viking ride, a Ferris wheel and a whole lot more. The main attraction here though is the Sky Eye which is a Ferris wheel that stands about 207 meters high. Enjoy a food trip – as mentioned earlier, you can go to One Destination for some fancy meals or you can scour elsewhere to really taste the food of Tagaytay or at least some Filipino cuisine like bulalo. Be amazed at the beauty of Taal Volcano – relax, enjoy a meal and bask in the mild climate as you view one of the most famous volcanoes in the entire country – even the world. Tagaytay City is truly a destination for those seeking a place that’s not that far from Manila, but one that also offers a temporary escape from the heat. With awesome activities and a great food scene to boot, why shouldn’t you come to this city in the sky?